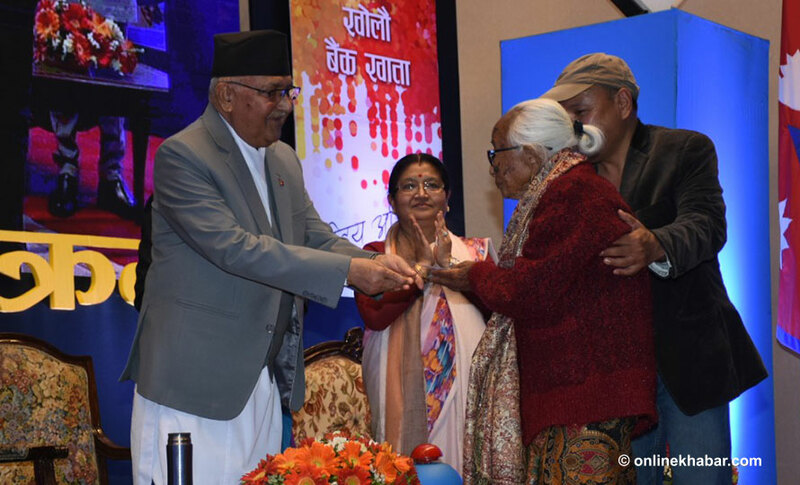 Prime Minister KP Sharma Oli’s father Mohan Prasad and mother-in-law Ghan Maya Shakya have opened bank accounts under a government scheme to encourage all citizens to open a bank account. 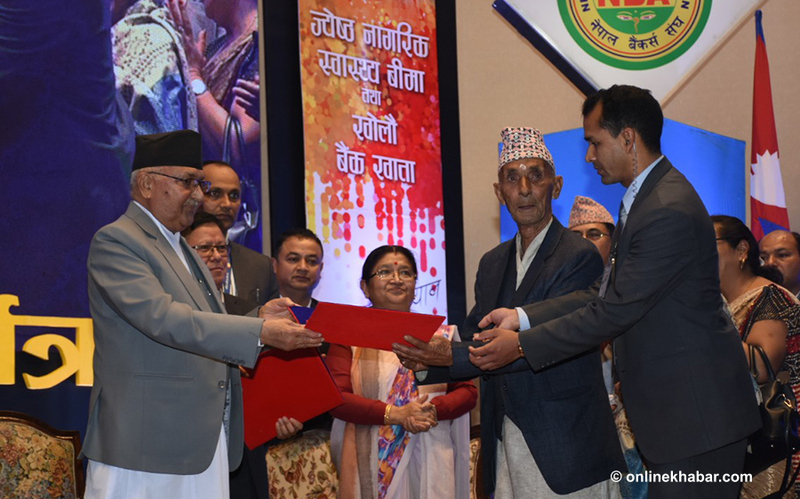 The campaign was launched by Prime Minister Oli amid a programme in Kathmandu on Sunday, the first day of the Nepali New Year. Under the scheme, the bank opens an account for senior citizens by depositing Rs 100. The aim of the campaign is to help senior citizens access pensions easily and to reduce hassles.